I want to enter this in Sweet peas challenge blogs - http://onesweetchallenge.blogspot.com/2013/02/february-2013-challenge.html. Somehow challenges are so addicting and I am loving them. Such a sweet card - you're colouring is great. Good luck with the challenge. Pam, you did such a nice job creating a card that will be cherished. What beautiful coloring and design skills you have. This is awesome Pam! 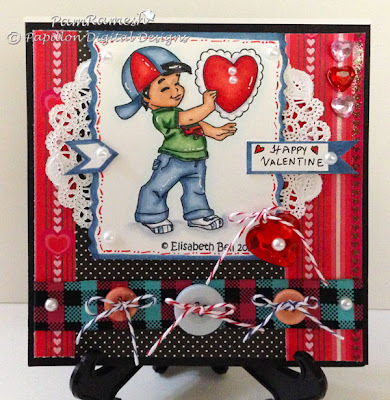 I love the vibrant colors you used and the layout too. Thanks for playing with us over at One Sweet Challenge. this is gorgeous, so vibrant and eye catching. thanks for joining One Sweet Challenge!